Most media gadget junkies like myself consume a lot of data and many of us store a bunch as well. Thankfully, prices for hard drive storage continue to plummet so that your average internal hard drive is pretty darn cheap. Because hard drives are an integral part of your home media setup these days, I’ve monitored prices and deals for internal SATA drives each week. Starting today, I’ll be sharing these deals with you each week over at my very-young, brother site GeekTonic Deals. I’m starting this series with the 1TB drives. Yes, the 2TB is available, but a bit too high on the price-per-gigabyte for me. The 1TB is near the perfect size and price—per-gigabyte. This week, the best deal is for the Hitachi 1TB SATA drive which just happens to be available for $85 after mail-in-rebate or $87.99 at NewEgg if you don’t want to mess with those mail-in-rebates. Check out the Best Prices for 1TB Hard Drives at GeekTonicDeals! Are you interested in Media Gadgets, TV Talk or just a little random small talk? Recent discussion include SageTV, Media Center, TV Talk (shows being canceled or renewed), gadget news and yeah you'll have to put up with the occasional Big 12/SEC sports talk among other random topics. I've made a lot of friends via Twitter and gotten to to know many of my readers and the wider community so I highly recommend it. UPDATE: If your new to twitter or even a hard-core twitter addict, I highly recommend you read this ZatzNotFunny article on "1100 word comprehensive Twitter software, tools, and etiquette post"
Another Friday has arrived which means it is time for the GeekTonic "Netflix Watch Now Movies Worth Watching" feature. It's Valentines Day this weekend. So how about some flesh-eating corpses to get everyone in the mood? This is a very silly, but popular flick from 1968. Considered a classic in some circles. It's a Ninja Movie! Yeah, it's not my favorite genre, but I know some will like this one. Looking for a "nontraditional" western? This should fit the bill. Young William Bonney learns the tricks that will make him famous as Billy the Kid. An Indie drama where widowed professor Walter Vale (Richard Jenkins, in an Oscar-nominated role) discovers an immigrant couple, Tarek (Haaz Sleiman) and Zainab (Danai Gurira), squatting in his Manhattan flat and becomes wrapped up in their lives when Tarek is thrown into a detention center. Looking to cash in on a Brazilian gold rush, ne'er-do-well George Kuffs (Christian Slater) heads to San Francisco to hit up brother Brad (Bruce Boxleitner) for a loan. Instead, George gets a job offer -- to join Brad's police department civilian adjunct. Milla Jovovich and Tony Goldwyn costar. The tables are turned when straight-laced Bessie (Diane Keaton) -- who devotes her life to caring for her chronically ill father (Hume Cronyn) -- must ask her estranged, bohemian sibling (Meryl Streep) for help after Bessie suffers a health catastrophe. Leonardo DiCaprio, Robert De Niro and Gwen Verdon all star. In an Oscar-winning performance, Sally Field is unforgettable as Norma Rae, the Southern millworker who revolutionizes a small town and discovers a power in herself she never knew she had. Based on a true story. When filmmakers come to Waterford, Vt., they shoot first and ask questions later. Writer-director David Mamet doesn't miss a target with this scathing satire of moviemaking. There's the egomaniacal star (Alec Baldwin) who can't keep his pants zipped, the starlet (Sarah Jessica Parker) who won't take off her top and the impotent writer (Philip Seymour Hoffman) ignored by everyone. Facing an ethical quandary, Jewish master forger Salomon Sorowitsch (Karl Markovics) must choose between abetting the Nazis and saving his skin in this taut Oscar-nominated drama based on a true story. Assembled at a death camp, a cadre of printers, artists and chiselers -- led by the opportunistic Sorowitsch -- is tasked with counterfeiting currencies to weaken Allied economies. But will Sorowitsch's conscience begin to gnaw at him as the war draws to a close? When James's (Nick Stahl) sister Joleen (Charlize Theron) shows up on his doorstep with her 11-year-old daughter, Tara (AnnaSophia Robb), he doesn't think twice about welcoming them into his home. But when Joleen skips town without Tara, James is thrust into a role he's grossly unprepared for. At risk of losing the girl to foster care, James hits the road with Tara, where the pair develops a genuine bond and discovers a true sense of family. The budding romance between noble underachiever Lloyd (John Cusack) and high school valedictorian Diane (Ione Skye) is threatened when Diane's overly possessive, disapproving father (John Mahoney) interferes with their future. With her prized scholarship to study in England hanging in the balance, Diane must find a way to make both men happy. Cameron Crowe (Almost Famous, Good Will Hunting) writes and directs this classic 1980s teen film. Clark Gable risks his life to save a beautiful woman's husband in this adventure drama filmed largely on location in Hong Kong. When her photographer husband goes missing, Jane Hoyt (Susan Hayward) implores Hank Lee (Gable), an American mercenary who runs a smuggling operation from Hong Kong, to help find him. Swayed by his attraction to Jane, Hank agrees -- but he may regret his decision when the quest lands him in dangerous communist territory. Shadowy U.S. intelligence agents blackmail Robert Redford and his eccentric team of security experts into stealing a code-breaking "black box" from a Soviet-funded genius. But Redford uncovers a bigger conspiracy, and he and his "sneakers" (Sidney Poitier, Dan Aykroyd, River Phoenix and David Strathairn) must save themselves and the world economy by stealing the box back from the blackmailers. Rookie Cincinnati cop Jeffrey Cole (Omar Epps) poses as a drug dealer to take down a powerful crime lord named Dwayne Gittens -- known on the streets as "God" (LL Cool J). But soon, Cole gets caught up in God's underworld of bribery, intimidation and murder. Michael Rymer directs this action thriller; Stanley Tucci, Veronica Webb, Nia Long and Pam Grier co-star. Musicians Nas and Jermanie Dupri also make appearances. Based on six plays, this Emmy Award-winning miniseries from the BBC depicts -- with deft attention to historical detail and style -- the extraordinary life of Queen Elizabeth I (Glenda Jackson). Also known as the Virgin Queen, she challenged the status quo (most notably in her refusal to marry), and survived plots to overthrow her, local politics and family turmoil to build the British Empire into the most powerful military force in the 1600s. That's it for this week. Let us know if you hated, loved or even watched any of these. Well that didn't take long. 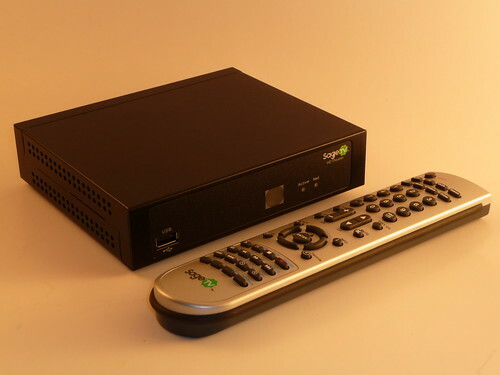 The SageTV HD Theater (read review here) has it's own, unique user interface for standalone mode (when not being used as a SageTV extender), but it can be customized just as the SageTV UI can be customized. Until today no one had released one, but as of now the first custom UI is here. 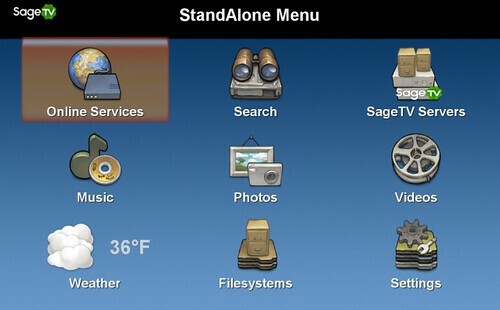 Gerry, the user/developer for many SageTV add-ons including the SagePro Theme has created a SagePro Standalone UI to match. Instructions for installing are very easy and it looks quite nice. 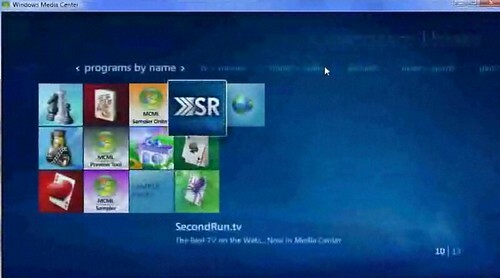 Watch for many more custom UI's for the SageTV HD Theater Standalone in the near future! Thanks to Gerry for his work on this and for being the first one to do this. iTunes Getting Replay Video On Demand to Compete with Netflix? There are rumors cropping up that Apple is preparing to add a Video On-Demand type service to iTunes 8 that would allow iTunes users to access and stream their iTunes video purchases directly from Apple's servers at any time. If true, this would arguably be a move to compete more directly with the Netflix streaming service. The original story broke at AppleInsider and was later "confirmed" by an undisclosed source at CNET. The service would purportedly be called iTunes Replay. If they pull this off without ticking off the content providers I can see this as a direct salvo to Netflix & Amazon Unbox and their streaming services. The one problem with this would be the fact that Apple only has one "real" extender device usable at the Television set - the AppleTV. I know there are those that consider the AppleTV fine for what they need, but I have to wonder whether this is another sign that Apple wants to step up their "hobby" they call the AppleTV and take it to the next level. I have been an avid user of Snapstream’s Beyondtv for years now. I like it because it takes care of my guide information, is very user friendly, works with all my tuners (hardware mpg encoders, over the air HD, and the Hauppauge HD PVR), and has a lot of great features. It generates smartchapters to identify commercials (some people prefer Commercial Cutter, both have similar success rates in my testing) and has a built-in showsqueeze feature to convert videos to divx, wma, or ipod H.264. I’ve also used or tried SageTV, Media Portal, Mythtv and several other PVR programs, and each have positives and negatives. However, none of these programs will do all the video editing and conversion I need to do so I've put together this discussion on some of the other editing programs I've use or have tested out. Now I have a few different types of video files to work with. 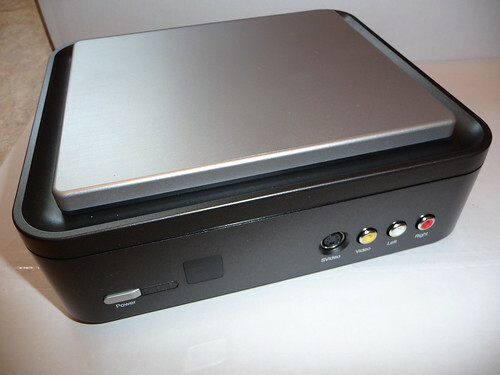 Beyondtv records either mpg2 files, mpg transport streams (.tp files) or H.264 transport streams from the HD PVR. In addition, I capture DV (avi) files from my camcorder and convert those to mpg2 files for making dvds. I also showsqueeze files to Divx or ipod H.264 using Beyondtv (for archiving or loading on my ipod) and make Xvid files with Autogk for archiving. (I go back and forth between Divx and Xvid, depending on what I do with that file). That in mind, I look at other software to edit and link files together (mostly removing commercials) convert formats, repair issues with recordings, and in the case of my home movies; capture, edit, transitions and titles. The bulk of these applications are freeware or open source, but I’ve listed some pay applications that I use as well. I think 90% of what I do can be done with freeware, and almost all can also be done on Linux as well as Windows (one of my goals is to eventually migrate everything to Ubuntu). Here I want to focus strictly on format converters. I won’t go into too much detail on Snapstream’s Showsqueeze, even though that is my top converter. As a result I really don’t look into many Divx converters. My main conversion program is Autogk which does both Divx and Xvid, but I use it mainly for Xvid conversion. I’ve had a few issues with the latest version, as a result I stay with version 2.27. Autogk is actually a collection of programs and a front-end that simplifies the whole process. It lets you input mpeg2, TP, VOB or even INF files from dvds for conversion. You can convert based on quality, percentage reduction, or a specific file size. Depending on the amount of compression Autogk can keep 5.1 audio intact or convert to mp3. Speed wise it is similar to Snapstream’s showsqueeze, and depending on compression files look good on my 46” LCD. I archive standard definition shows to about 350mb/45min (1 hour show without commercials) and HD shows to about twice that. posted, its what Autogk would have been had development not been stopped. searching for the ideal converter for Linux as well. Another handy converter is Pocketdivxencoder I use this to make quick conversion of videos for my PDA, and it is designed to work well with TCPMP (the Core pocket media player http://www.hpcfactor.com/downloads/tcpmp/) I use this because it is fast and lets you setup multiple jobs at a time. My last portable converter is ABC 3gp converter Install-ABC-3GP-MP4-Converter.html. I use this for the rare times I want to convert video to play on my cell phone (which only supports 3gp, it’s getting dropped hard soon). I’m sure there are other and better programs out there, but this was free and it worked. I expect with newer phones won’t be so limited so this app won’t be needed as much. Another App I used to use is HDTV to mpeg2 . I used to use this program until Videoredo started supporting transport streams. This lets you convert a any of the subchannels of a transport stream to mpeg2 files. I have a few other converter applications in my arsenal, most of which have been replaced by Avidemux. I also tried a few FLV converters, but now I just use the Firefox plugin Downloadhelper (even that has some issues). For the most part I just play those files in Vlc. I also looked at a few WMV editing and conversion programs, Apex video converter and ASFtools stand out in memory but I cannot recall if that is good or bad. Either way, most of these functions are obsolete because of the programs in the next section. Note, all of these are primarily Windows converters, I have a lot of catching up with Linux converters, and fortunately the editors below handle most of this. First off I have to list Videoredo. For the most part editors here are freeware or open source, but Videoredo has served me so well over the years it deserves not only mention but to serve as a benchmark for other editors. Videoredo does very fast rendering, faster than any other program I had seen until then (Avidemux is faster now). It lets you cut or trim videos, recognizes projects based on Snapstream Smartchapters or Commercial Cutter, lets you join files together, and most importantly will run quickstream fixes that can identify dropped frames, repair files, correct audio sync issues, etc. It is limited to mpg files and transport streams, does not work with Divx, Xvid, or H.264 files at this time. It is also not freeware, but you can get a 30 day trial. Opening files is slow as it may need to rebuild data. Xvid files need you to rebuild frames (say 90 seconds for a 90 minute file) but then saving changes takes less than 10 seconds. Divx require unpacking which is about the same time. Mpg-2 and transport streams need indexing to open which is much faster. Like Videoredo, Avidemux lets you set start and end points and either cut out the section or trim to that section. Combining files together is much simpler using the append command, however video shape needs to be the same (which is easily done with in Avidemux as well). I mostly use this to remove commercials in Divx files I make from my HD PVR recordings. While there are H.264 editors available, I am happy using Beyondtv’s Showsqueeze feature to archive my file, then use Avidemux to remove commercials from that Divx file. It’s also great for joining fragmented files together, converting between formats and properties, and is almost up to the Movie Maker Editor. For a free editor, this is by far the best, and better than almost all pay editors. All in all, while I still use Videoredo to remove commercials from mpg or tp files, and as a quickstream fix when needed, I forsee a day when I replace it completely with Avidemux and mpeg2repair. Speaking of which, I have become a quick fan of Mpeg2repair. This was pointed out to me by one of the Snapstream devs when I was having issues with HD recordings over the air. Even though I was seeing high signal levels, my capture cards were getting errors causing me to see frozen video for a few seconds. 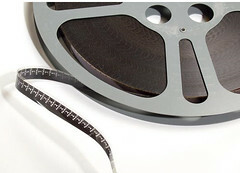 Mpeg2repair is limited as it is used to scan and repair these transport streams. The benefit, running a transport stream (HDTV) recording though this utility will identify, log and repair errors. So instead of frozen video you get minimal pixilation at each error point. One of my tuners has poor reception on some channels, so if that tuner is needed for those channels, I fix the recording with Mpeg2repair before watching it (takes about 10 minutes for a 1 hr recording). Tmpgenc used to be a favorite of mine. I used it when converting or building DVD’s, and it was especially useful for splitting or combining audio and video in mpg files. It is limited to that format (hence the name). However new DVD ripping and burning software really has made a lot of these functions obsolete, and I don’t even keep a copy of this on my computers anymore. Plus, I’m not sure if the free version is as functional as before or if it is time limited. Note, if you enter values in the timeline, say 72 for 1 min 12 seconds, you will have to let the software correct for slight decimal values. Use one of the next/prev buttons (I use the 5 frame button) so it can sync itself correctly, some value like 72.1435. Otherwise when you try and cut your project you get an exception. I have not seen a newer version yet but I hope they correct this soon. This section is for what I consider the movie making application a.k.a. home movies. These programs are a little more intensive than just editors, apply effects, animation, filters etc, and their main purpose in my opinion is to capture firewire DV from you video camera, edit and make home videos. In Linux you can get Kino which is the best I’ve tested so far (and I have a lot of catching up to do) but I’ve also heard Jahshaka and Cinelerra show promise. There are others that I have not had a chance to look at, and all are showing more promise. Kino looked like the best at the time of this article, allowing firewire capture editing, adding audio, effects, transitions, most of the same features of the pay Windows programs. For Windows, the only freeware application I’ve looked at is Vivia mostly because it available for Windows and Linux. I currently have Ulead Videostudio which I use routinely so I haven’t delved much in Windows freeware for Movie Making. As of the writing of this article Vivia only supported PAL, NTSC will be available in version 0.2, so I won’t do any more testing until then. I thought they were worth a mention since they were multiplatform and open source, and slowly building transitions, effects, and other features. As I’ve stated, I personally use Ulead (now Corel) Videostudio. The reason? I’m just comfortable with it. It is pay software, much like the industry standard Adobe Premiere. As such, I won’t go into too much detail about these two products. My main use for them is to capture video from my camcorder, edit, apply effects as needed (contrast, color adjustment mostly), add transitions, titles, and make mpg files for my library and for DVDs. What I like about Videostudio is that I can make several small mpg files or scenes, and then when I’m ready to build a DVD I can combine them together in a project, and build a DVD with a single VOB series, and each clip will automatically have a chapter associated with it. Most DVD authoring programs make separate VOB’s for each movie clip, or if you combine the clips into a large file it won’t preserve the chapter points. The negative is that Videostudio takes a long time to render the movies, sometimes several hours to make a 2 hour DVD. However, I’ve tried a lot of program combinations (Tmpgenc, Videoredo, DVD Moviefactory etc) and in the end this has been the best for me. Here are a few utilities that I think are worth mentioning. DSFMgr - Direct show filter manager – useful to check your installed filters and add/remove or change priority of them. Gspot codec appliance great for checking files and getting info on compression and format. Videoinspector is another popular choice for checking files and getting info on compression and format. Media Info another application which gives details on files, this one works well with transport streams. I typically like to keep VLC and Zoom player available, VLC ideally for streaming and Zoom makes it easy to choose filters and decoders. Many thanks to ZetaVu for sharing his experience with video editing tools. This was the third in the series of many guest posts on GeekTonic. 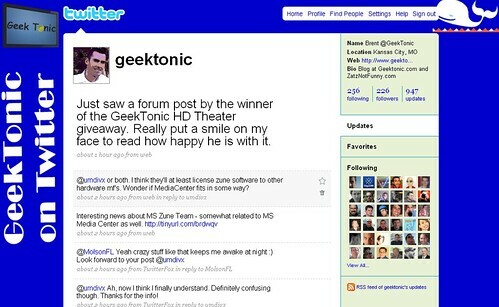 Those of you who read ZetaVu's first guest post understand that ZetaVu knows his stuff and is a frequent commenter at GeekTonic with a great deal of knowledge with HTPC's and other media gadgets. I've gotten to know him from the many hours spent on the Snapstream, MediaPortal , AVS and other Forums where you'll often find him (under the same online name). 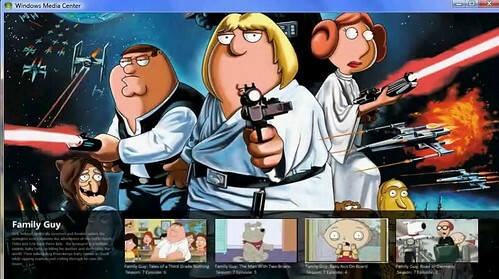 XBMC is a popular open-source media center application for Linux, Mac OS X, Windows and XBox. 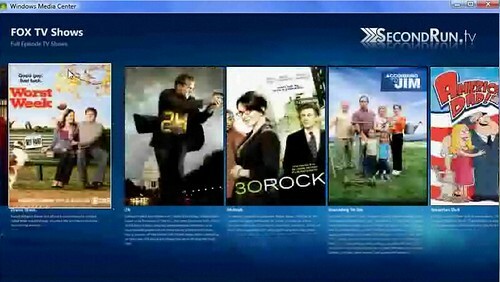 These screenshots show the amazing work being done for XBMC. If you’re looking for beauty in a user interface, this should be one of your first stops. Read more about the Aeon Project at the XBMC forums and the Aeon Project website. Report of CableCard Tuner working on Non-OEM Windows 7 PC - Fluke? Will Windows 7 allow CableCard tuners on non-OEM computers? "I connected the tuner and booted up. The system detected it and installed it hardware wise. I then started MC and proceeded to TV Signal Setup. It proceeded to produce TWO EULAs for acceptance - EPG v5 and PlayReady. It proceeded to download and install PlayReady. (I was waiting for it to tell me I didn't have OCUR BIOS at any moment but it did not) After that it detected the CableCARD tuner and prompted me for a Digital Cable key. Since I'm testing this I figured I might as well follow through and input my VMC's Digital Cable Support key. It connected and then reported it successfully activated. I selected my lineup and let it download the guide. I couldn't wait to see if it worked. So I started by trying ESPN-HD. There it was. So I figured I'd go for the gold and selected HBO-HD and up it came. (Order above may not be perfect, working from memory) Checking other channels it appears I get everything I should." I have no way to confirm that this really did work for this forum member, but it it's entirely possible that his story is true. To me, this appears to be a simple "fluke" that will be corrected by Microsoft as currently CableCard only works on OEM PCs. But since this has not been officially addressed it does beg the question "Is it Microsoft's intent to eliminate the OCUR-compatible BIOS requirement for Digital Cable support with the release of Windows 7?" While my guess is that CableCard will continue to be on OEM (pre-built) computers only, it would be a huge boost to Windows 7 to open up CableCard to non-OEM PCs. Perhaps they could sell a separate license/Digital Cable Key for use on non-OEM PCs or something like that. If they don't do this, it's very likely that DishNetworks yet-to-be-announced Satellite tuner will be available to non-OEM PCs which would make CableCard even less used than it is today. Kindle 2 Preorder Ready - Is this the Electronic Book for You? 25% Longer Battery Life - 4-5 days of battery charge with wireless on is very nice. Over 2 weeks of battery life without wireless on. Delivery system is Amazon Whispernet (same as before) so you can shop the Kindle Store wirelessly, download new content and read from the store library. I'm waiting for the day we see a similar device for $150 with WiFi included. I asked my wife yesterday what it would take for her to want a Kindle as she's an avid reader. She told me it needed to read to her (do audiobooks) and should be pretty cheap since you have to still buy the book after getting the reader. After the announcement of the text-to-voice feature today, she told me that she wants the text to voice feature to sound like Jim Dale (he did the Harry Potter series audiobooks). So what do you think? Is it time to get a electronic book device? Week 6 of the Winter 2009 TV Season is here. This week brings us the long awaited Dollhouse, the return of Terminator: The Sarah Conner Chronicles and the latest edition of Survivor among others. Read on for all of the details. Note: Download a free, PDF of all premieres and returning TV shows. Download includes two sections - one sorted by release date and another sorted by title. This has been updated with many additions from the last version - only those shows from 2/8 and later are included in this version. Dollhouse (9pm on Fox - Available in HD) - The long anticipated premiere of Joss Whedon's Dollhouse series. Eliza Dushku plays a woman who has her personality reprogrammed by a secret organization. I've heard the premiere isn't as strong as had been expected, but the show gets better as the season goes on. I've posted a video preview of this show at the top of this post. Oragutan Island (7PM Sunday on Animal Planet) - This series starts out with a 1-hour special and follows Lone Droscher-Niesen as she & her team race against time to save & protect the oragutans. Nitro Circus (7pm Sunday on MTV) - A reality TV series returns to MTV with stupid stunts. XIII (9pm Sunday on NBC - Available in HD) - Miniseries on NBC where an amnesiac (Stephen Dorff) faces accusations of assassinating the first female U.S. president. American Experience (9 pm on PBS) - PBS offers us the best-selling book, Manhunt: The 12-Day Chase for Lincoln’s Killer in a TV version. This is a documentary timed to coincide with Lincoln’s birthday. Dark Days in Monkey City (10pm on Animal Planet) - An animated series on Animal Planet which by itself is a unique happening. This series is set in Sri Lanka's deserted city of Polonnaruwa, once ruled by Buddhist and Hindu kings, but now overrun with gray langurs, toque macaques and hardened gangs and troops trying to survive. Important Things with Demetri Martin (10:30pm on Comedy Central) - Comic Demetri Martin offers his comedic perspective on a different topic each week. Survivor: Tocantins (8pm on CBS - Available in HD) - Believe it or not its time for another Survivor. This one is set in the interior of Brazil for 39 days. House of Cards (7pm on CNBC) - A 2-hour special documentary that questions the concept that the housing/foreclosure crisis was caused by naive homeowners not reading the fine print. Millionaire Matchmaker (10pm on Bravo) - Here we have another reality series and wouldn't you know they figured out another way to get rich guys and attractive women on another reality TV show. Aaron Stone - (7:30pm on DisneyXD "formerly known as Toon Disney") A new "sci-fi" show on Disney. It says 7:30pm but it will be re-run so many times you could pretty much find this episode at any time on all of the Disney channels. Terminator: The Sarah Conner Chronicles (8pm on Fox - Available in HD) - Terminator returns from its holiday hiatus. Be My Valentine, Charlie Brown (8pm on ABC) - Thanks to Charlie Brown we can be assured our kids will understand the crazy holiday we call Valentines day.